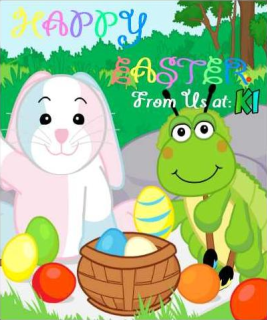 After a influx of correct entries in our KI Easter Puzzle Contest we have randomly drawed our winners. The winners of one of two 2009 Eater Prize Packages are GrannyJeff and toothpick. Congratulation Please PM KImember with your WWID and add Kinzisland to your WW Phone. We would love to hear everyone's thoughts on this contest so feel free to comment on this thread. Congrats to winners! How did you make the puzzle? Easy but took time! YAY! Congratulations Grannyjeff and toothpick! Way to go! That should put a little hop in your step! Darn, I forgot to submit mine and it took my like an hour to put together..
Congratulations. I came after Easter. I didn't even know it was a contest. I saw a puzzle and put it together. I LOVE puzzles. I thought it was a great idea. I loved putting it together too. You never know we may decide to make another one for another contest sometime in the future. Congrats! I also joined after the Easter Contest, how often do contests run on this site? They run pretty often, Thanks to Lilkinzgrandma there is normally won every weekend for the Communal Contest. We normally Have at-least two official KI contests each month but this month has had way more than that so far. I can tell you we have another in the works which I am really excited about!